The Public Diplomacy and Outreach Project in India and SAARC is a European Union (EU)-funded project that DAI has been implementing since December 2013, with Marco Corsi as team leader. In line with the EU’s Common Foreign and Security Policy strategy in Asia, this project aims to deepen the political, economic, and cultural relationships between the EU and India and the South Asian Association for Regional Cooperation (SAARC) nations. It works to promote EU visibility by organising various events, supporting local cultural organisations, and setting up active ICT platforms and new means of communications. Outreach to institutions of higher education in Europe is one of the project’s initiatives. 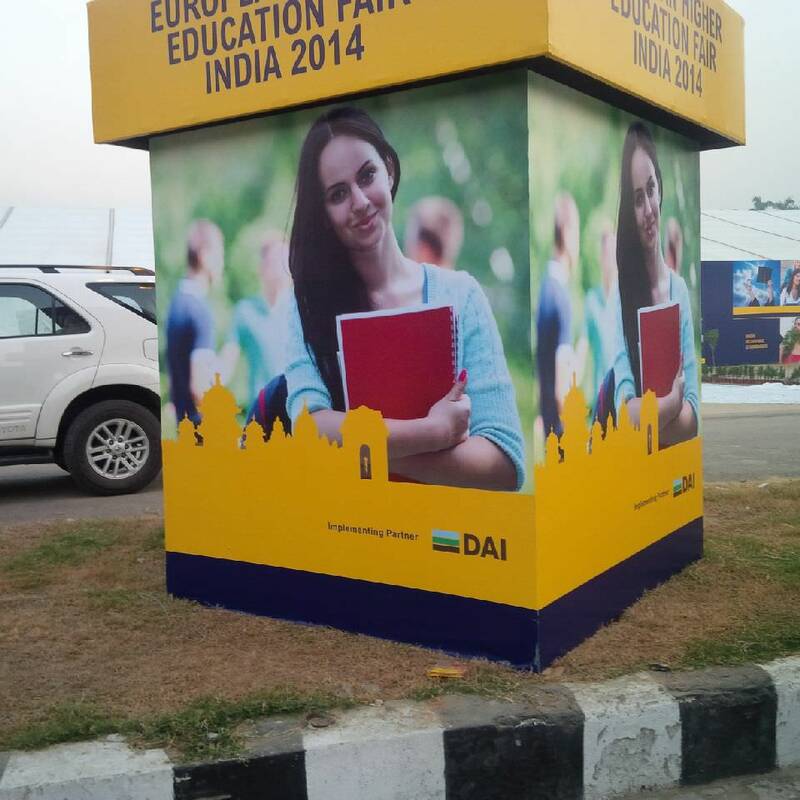 In 2014, the EU Delegation to India along with the EU Member States missions in New Delhi organised the European Higher Education Fair. The fair was held in New Delhi, Bengaluru, and Kolkata over the course of a week and attracted the participation of 118 higher education institutes from 23 EU member states. It was attended by more than 6,500 students and parents from these three cities. The event was promoted energetically through the traditional media and advertising, as well as social media channels. In 2015, built on the success of the previous fair, the team set up a European Higher Education Virtual Fair (EHEVF 2015), an online platform to reach out to prospective students in India and South Asia through web presence, chat sessions, and webinars. The virtual fair was interactive and participatory with direct contribution by the higher education institutions complementing their efforts in promoting internationalization of higher education in the EU. This initiative was a first of its kind globally, proven to be less cost-intensive with greater outreach. The starting point for the EHEVF 2015 was the creation of a master portal (http://study-europe.net) filled with relevant information such as admission announcements, scholarship, summer schools, internship opportunities, research grants, and costs/fee structure of different courses/institutions. Long term, the portal is meant to become a one-stop destination for networking and as host to all information and best practices about the achievements of the higher education sector in EU and India (and South Asia as applicable). Each of the 138 higher education institutes from 28 EU member states had one page on the website ready for the launch of the fair on November 26. The fair comprised of a series of subject wide webinars to enable the higher education institutes to reach out to prospective students. Separately there were webinars featuring institutes listed in the Times Higher Education global rankings of leading universities 2015-16 participating in EHEVF 2015. Individual EU member states were invited to address country sessions; seven such country sessions were held. Finally, there were also thematic webinars on topics such as EU scholarships and research opportunities, visas, living in an EU member state, and alumni speak. In addition, the students who registered on the website had the possibility to interact with the EU higher education institutes through Q&A and chat sessions. The chat sessions were live during eight hours every day during the fair. Before and after the chat session timings, the students could always leave behind their queries in the Q&A window available on every institution’s page. Feedback from the fair has been positive from both prospective students and institutions. The team agree further technical improvements can be made with recommendations on how to make future events better, but the overall experience of the platform was well received with an overwhelming majority (about 80 percent) of respondents positively assessing their time on the EHEVF (from good to excellent). This form of communication and outreach on our project has been done at a regional level, but it has the realistic possibility of becoming a global virtual fair. Detailed usage data can be found below for those interested! The portal received a surge of traffic during the virtual fair and recorded 8,116 sessions and 5,159 unique visitors over the four days (26-29 November 2015), with an average time of seven minutes 43 seconds spent by each visitor (higher in comparison to similar websites/events). Over four intense days as many as 76 webinars of 30 minutes each, many of them in parallel, were organised for EU higher education institutes and speakers to engage. A total of 3,243 participants (log-ins) were recorded. (Actual number would be higher due to screen sharing among students and institutional screening in some places). The main objective of the EHEVF marketing and outreach campaign was carried out through Facebook, marketing support agencies and on-ground college campus activations in Kolkata, Hyderabad, Bangalore and Chennai. More than 13,500 students’ registrations were achieved through all channels and partners combined. The portal will be hosting the VEHEF 2016, with discussions to follow on how to sustain this initiative past the life of DAI’s project, with the possibility of making this a one-stop destination for students who want info on study opportunities in the EU. If you have experiences with the digitization of traditionally in-person events, we’d love to hear more—please comment below or reach out to us on Twitter at @DAIGlobal or #DigitalDAI!